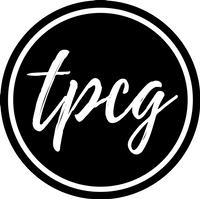 As you know, beauty is NOT equal to makeup products on TPCG. Now what are those essentials that you need to carry in your handbag, for summer? Tell me, deep down you knew I was going to mention about it! If you feel lazy to fill up the bottle before going to college, you can do either of these things- One, carry an empty bottle, and then fill it wherever you're heading to. Example, if you are going to college, carry an empty bottle, and then fill it after reaching the canteen, or the classroom floor. If you have to travel long distance for work or college, then I recommend not following the first alternative, and maybe follow the second one. If you feel that the odour is increasing, and a deo cannot help it after few hours, I suggest you to visit a doctor. It might be a problem with your skin or body. And in other case, carry a travel size deodorant in your handbag. If you have a small journey ahead, then you can skip this item, but otherwise, it's a MUST. I recommend a travel size of your regular face wash. You won't necessarily use it in college or at office, but sometimes, there are sudden plans. And if your skin is too greasy, you should wash it with a face wash. And if you fear that whatever makeup you've applied in the morning, washes off with it too, then carry the makeup with you. It is better to look fresh, than with makeup and a greasy face. Also I highly recommend putting the face wash in a small plastic bag to avoid surprising leakages. I mean SMALL. Larger napkins take lot of space, plus the handbag tends to appear super bulgy after keeping a large napkin in it, too. Carry the smallest size of napkin. If you don't have, buy them. They're super cheap. Napkins help in scrubbing off the oil from your face. They work better than dry tissues/blot papers, I feel. But if you're comfortable with dry tissues, go with them. The result should be a shine-free face. If you don't have a spray with you, you can wipe use these. Also, they're good for your face, and freshens it. I'm not a wet-tissue lover actually, but it indeed is helpful. What are your beauty maintainers for summer?